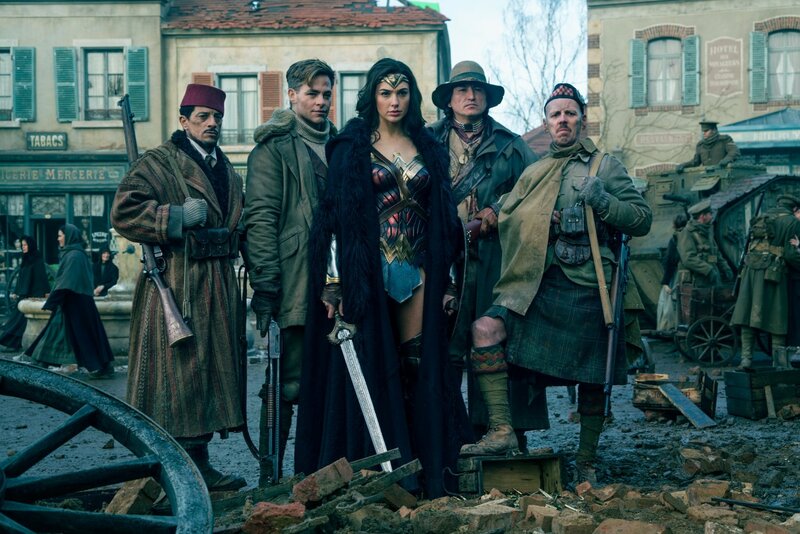 Against all odds and right on time, director Patty Jenkins’s much-anticipated Wonder Woman delivers almost everything a summer moviegoer could hope for, restoring my belief in the importance of the superhero genre and the potential of summer blockbusters. That may sound like a typically hyperbolic film-critic claim. Or like I’m jumping on a bandwagon. You might presume that I’m raving about She Who Has Been Called “America’s Guardian Angel” because of its fashionable feminism instead of the quality of its filmmaking. But no… I mean it: For the second time in the span of a year — here’s a high five to Scott Derrickson for his delightfully zany Doctor Strange — a superhero movie has surprised me, delighted me, and overcome my apathy toward its genre. But this one? For a June release, Wonder Woman is consistently surprising in how it takes risks with genre conventions. It features a star-making performance by Gal Gadot, someone who had barely registered for audiences before. And while it can’t quite refuse comic-book-movie fans’ demands for Violence Made Entertaining, it asks us to slow down and consider the depravity of humankind in a way that spurs us to imitate a “godly” visitor, one who wields a lightsaber-y lasso in one hand and a surprising capacity for compassion and mercy in the other. Seriously — what more do we need right now than a hero who promises “I will fight for those who cannot fight for themselves”? Wonder Woman is not just exciting to watch — it Wonder-fully undermines DC Comics’ endorsement of vigilante justice and glorified bloodshed. While it remains to be seen whether the character will maintain the courage of her convictions in the inevitable sequels, she currently towers over every active big-screen Avenger or Justice Leaguer, holding the moral high ground with her refusal to kill, her prioritization of compassion, her exhibition of the dignity and strength of women, and her ultimate aim to end war. Such admirable aspirations might make her seem like an automatic nemesis for director Zack Snyder, whose hedonistic movies have, to date, reveled in cynicism (Watchmen), gratuitous violence (Batman v. Superman: Dawn of Justice), and the objectification of women (Sucker Punch, 300). But there he is, listed as producer and as partially responsible for the story. So when I say the movie is sometimes beautiful, I’m not just talking about Amazonian warrior goddesses, those kindred of Diana who spend their leisure time rehearsing wartime maneuvers — archery, swordplay, and spectacular horsemanship — even though they’ve avoided any exposure to human progress, and show no likelihood of having to fight for anything. Chris Pine, who improves every movie he’s in, makes his World War One secret agent — Steve Trevor — likable, inspiring, and capable of some strikingly motivating speeches, without ever indulging this genre’s need to make every “man’s man” a rogue and a scoundrel. While Pine isn’t given the scenes he would need to generate substantial sparks with Gadot, he makes Trevor much more than just Wonder Woman’s first human smooch. Robin “Princess Buttercup” Wright carries on with her attempts to bury our memory of that girlish Princess Bride beauty with a turn as Diana’s aunt — a “Mrs.” Miyagi to Diana’s Karate Kid (the young Wonder played with spirit by Lilly Aspell). 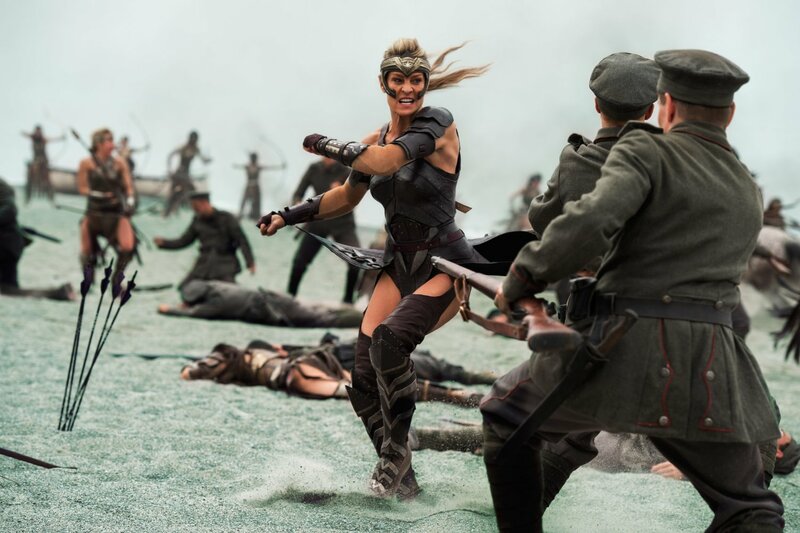 Wright’s Antiope is so convincing — impressively athletic, head held high, apparently immune to Hollywood’s epidemic of agism and sexism — that she might be a worthy challenger for Charlize Theron’s Mad Max Furiosa. And Danny Huston — an actor so gruffly engaging that I can’t understand why he’s so rarely cast — seethes and snarls as if he shares my desire for scenes more dramatically complex than these. Anyway — now to the film’s greatest revelation: Gal Gadot, who seems to be made for movie cameras. Not just for glamour shots or for film-trailer one-liners, but for movie cameras. Gadot is radiant in ways that require me to get out the step ladder, climb up, and reach for a name from the very top shelf for comparison: Audrey Hepburn. She’s much more than just a pretty face — she’s sensational in her capacity to persuasively express endearing naïveté, mischievous intentions, and righteous anger within a few moments of movie. She’s funny and unpredictable, she moves with the grace of a dancer, and she can make comic book dialogue sing. 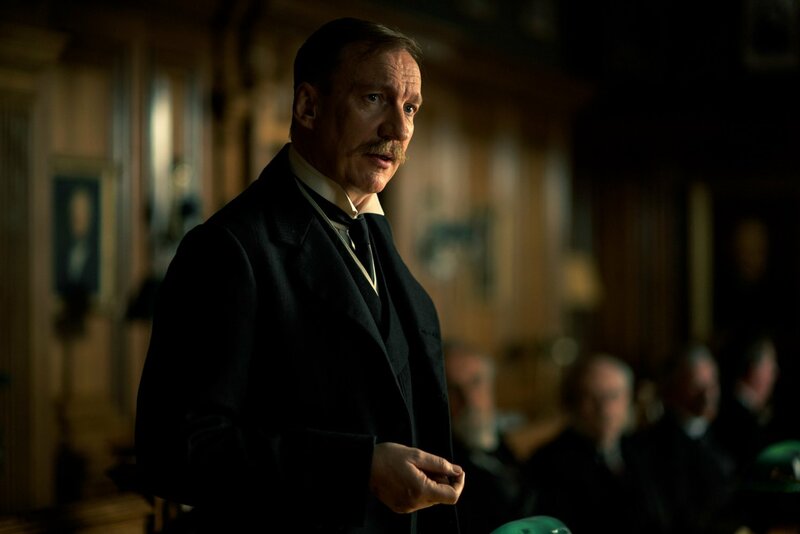 (Now, let’s see if the American film industry can avoid squandering a talent of this caliber on frivolous productions.) 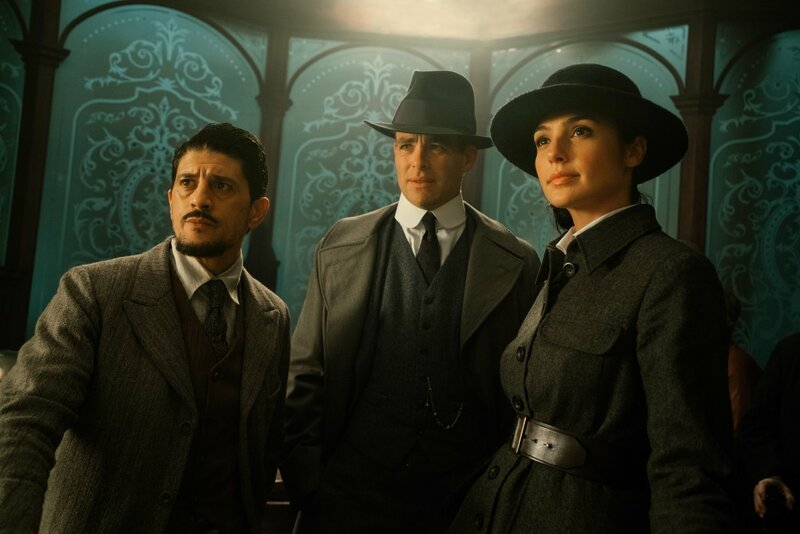 The period-piece nature of this narrative gives the movie all kinds of ways to fight back against the typical Snyder-style objectification of women. Gadot could easily have been exploited as the Justice League’s own Kardashian, but this scantily clad Amazonian remains surprisingly modest throughout, her elegant period-piece costumes just as important as that classic spangled swimsuit. When the movie does aim arrows of aggravation at the glands of horny teenagers, it aims them at female viewers, making a spectacle of Chris Pine instead of Gadot. And even then, the script scores more points than the spectacle: As Trevor gets caught in his birthday suit during a sequence that could reasonably be titled “The Hot Tubbing Scene,” he stammeringly sets up Wonder Woman to deliver the best double-entendre of the summer — maybe the year. And she delivers it as powerfully as any blow she strikes against her enemies. It’s enough to make me wish that this was her primary super-power. It’s a wonder that, under the power of that stare, Trevor doesn’t vanish in a fiery explosion. Okay, yes — Christian-media film reviewers have their license to geek out over the film’s inherent Christology. But that doesn’t strike me as anything new, except insofar as Wonder Woman seems genuinely concerned about ending war instead of making it more exciting. Me, I’m more excited about Wonder Woman because the movie finds a new perspective on the genre’s bread-and-butter focus on good against evil. This isn’t a Batman story, undermining our understanding of “good guys” versus “bad guys” by making innocence seem impossible. Nor is it Superman idealism, making us dream of a specimen who can deliver world-saving shows of physical prowess without sin. By contrast, Wonder Woman acknowledges instead that all have sinned. Even Americans as principled and handsome as Steve Trevor fall short of the requisite righteousness to earn our adoration. It’s Trevor, in fact, who admits that we had better hope for salvation based on something more than “deserving” it. For the way it gives girls a superhero of their own, for its forceful endorsement of innocence and American idealism, for its best-of-genre accomplishments, and its assault on superhero cynicism and sexism, Wonder Woman might even earn itself a spot on shortlists of the year’s best. Oh, if only it weren’t for those last 20 minutes. Yeah, I hate to admit it, but Wonder Woman stumbles at the finish line. Having established Diana’s refusal to compromise on her antiwar ideals, it sets her up for a showdown that she can only win by answering the violence aimed in her direction. While they give her an easy exhibition of mercy, the only way to beat the God of War, it seems, is to strike him down is with greater blasts of bad-assery. Here’s a moment where Doctor Strange has bested them all, victorious through voluntary suffering instead of superior aggression. Still, I can’t wrap this up on a note of disillusionment. Jenkins and Heinberg deserve superlatives for delivering an honest-to-goodness surprise in an otherwise unremarkable summer (so far). Wonder Woman is one of the best-directed superhero movies I’ve seen, and it serves as a coronation for Gal Gadot, who seemed so likely to line up as just another pretty face in the endless Hollywood parade, but who instead has given us a character — and a performance — worth applauding. I’ve read that some typical FOX News buffoons have complained that Wonder Woman isn’t American enough to earn our admiration. I disagree. To borrow a line from the movie: Wonder Woman, judging from the way America is surrendering its own ideals of liberty and justice for all… we do not deserve you. I didn’t mind the final battle sequence in Wonder Woman. I thought it fit the story rather than just being tacked on like Doomsday at the end of BvS. As she fought, she discovered more of her power and strength and a bit of who she really was, not just animated clay. Still, you’re right in that it would have been better if she had found a way for love, not power, to win. Fun to see your name pop up as I’m perusing Rotten Tomatoes critic reviews! Saw Wonder Woman and really enjoyed it. Gadot was indeed wonderful, and for me, the movie prompted memories of college papers and discussions about free will. With or without the “God of war,” humans are free to choose violence, and not even a hero (or heroine, as the case may be) can completely save us from our bad choices.